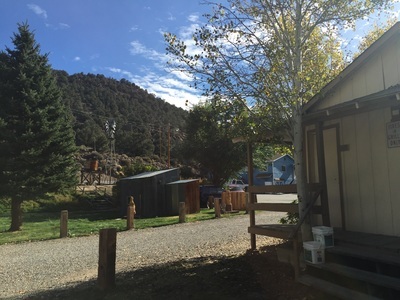 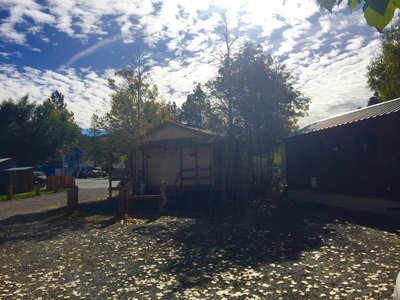 Parking: Free parking in front of the restaurant, and down the alleyway in front of each cabin. 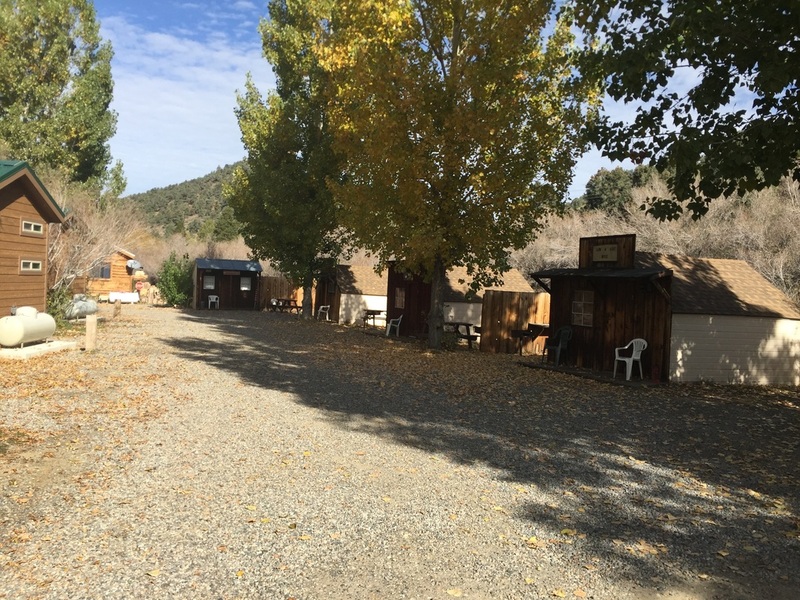 Hours: Campground open 24 hours, but staff is only available at the front desk during restaurant hours. 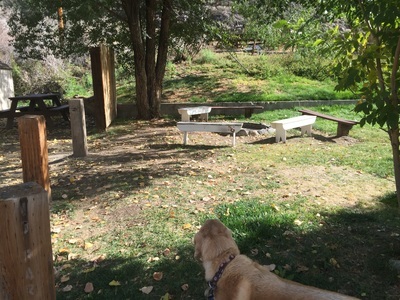 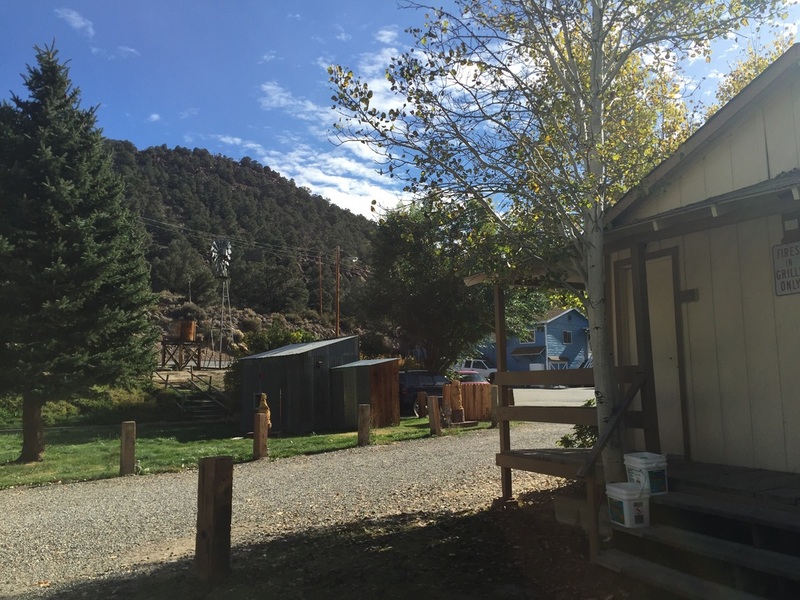 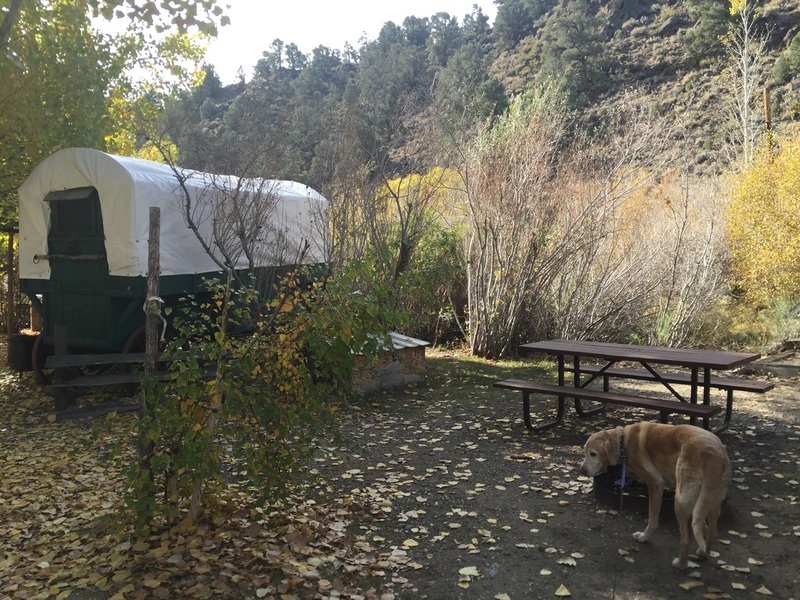 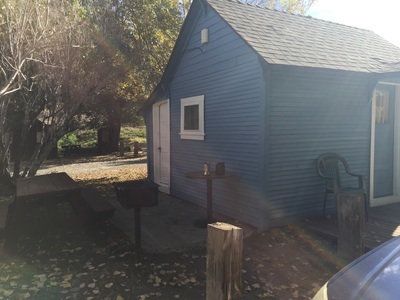 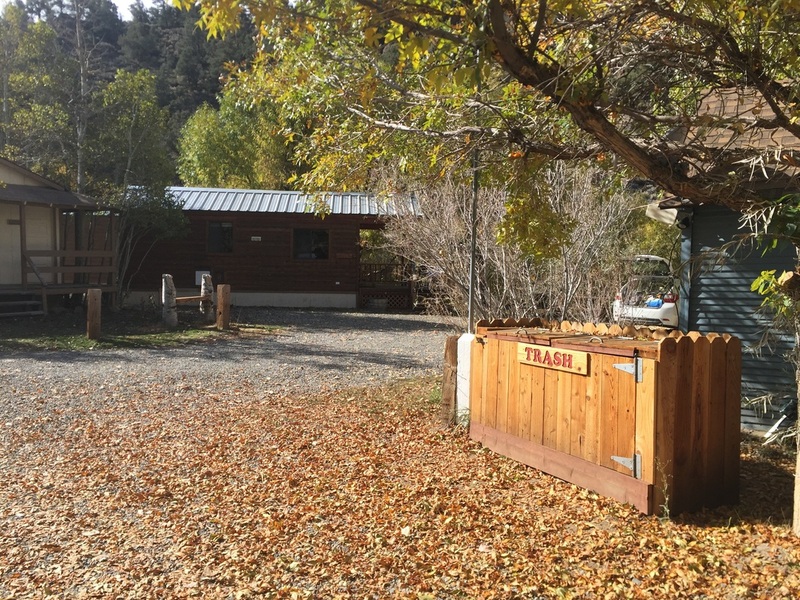 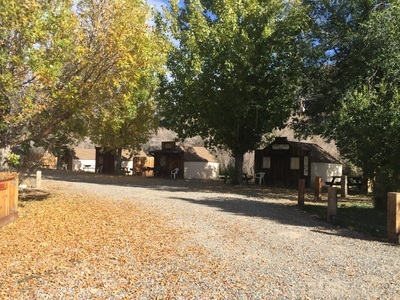 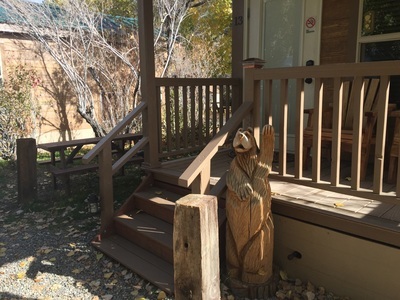 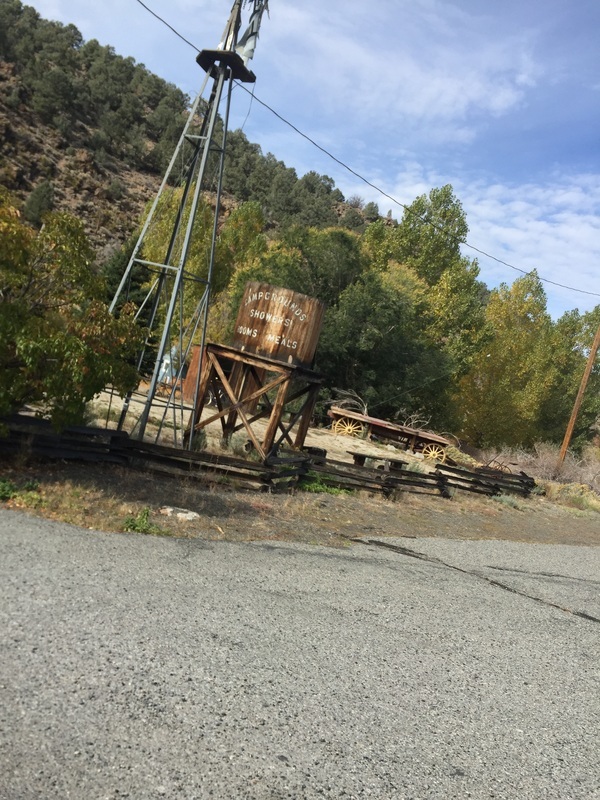 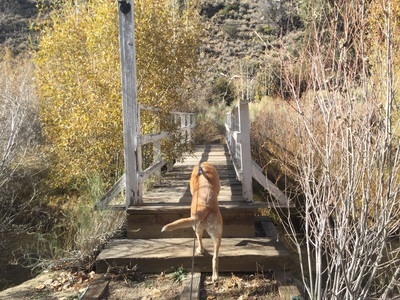 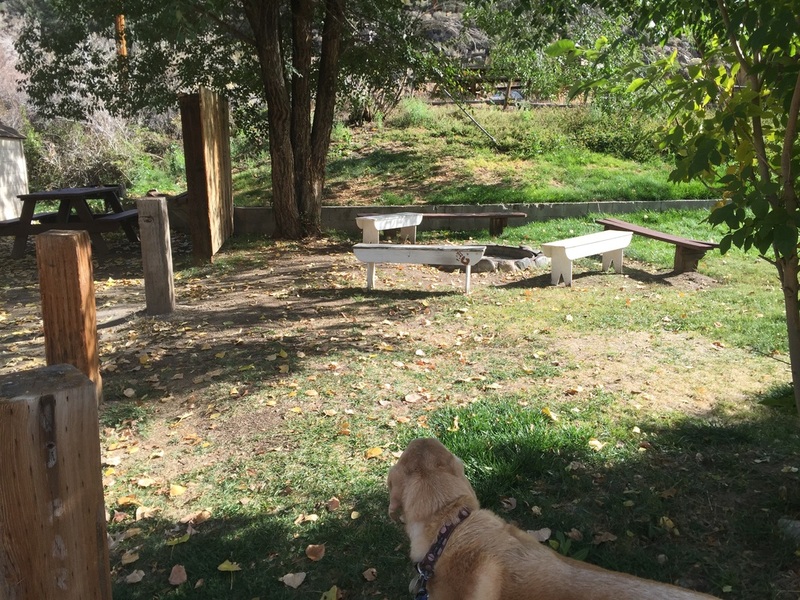 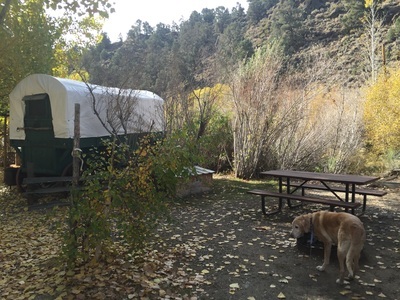 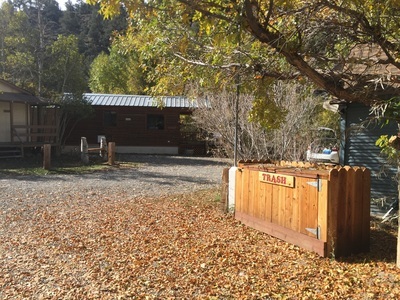 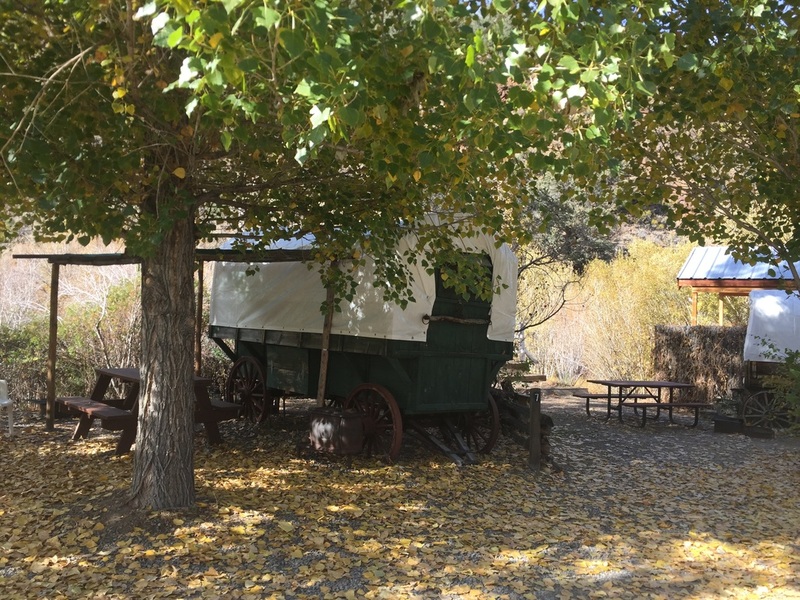 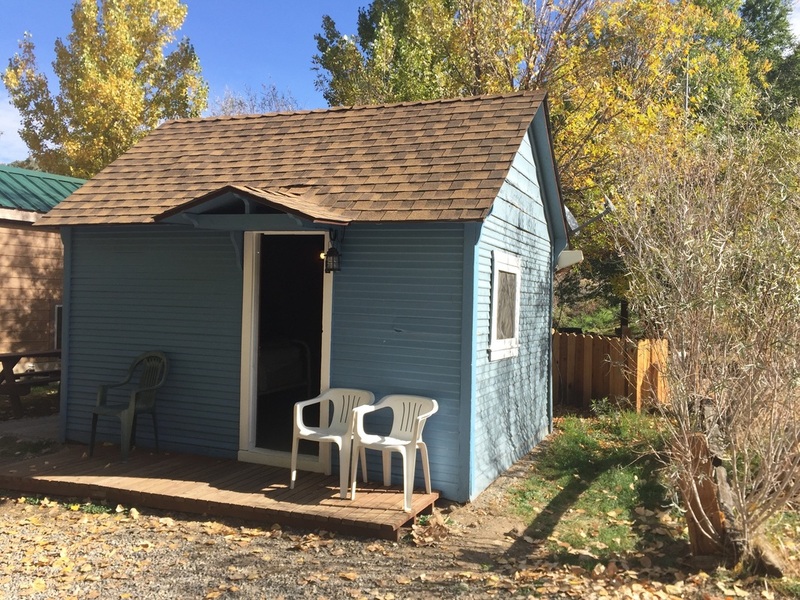 Description: This is a great place to stay on your way to Yosemite or Mono Lake. 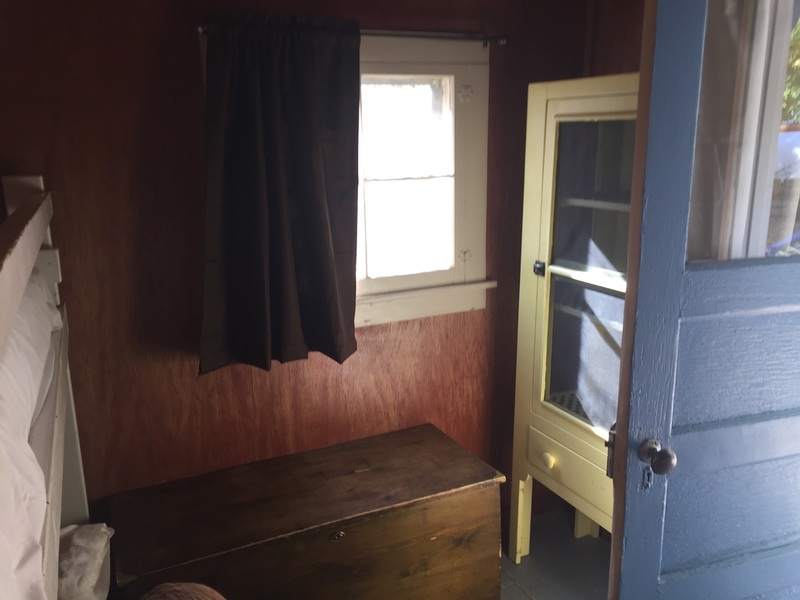 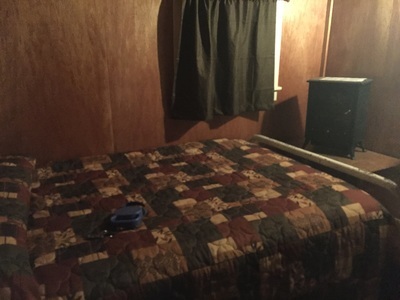 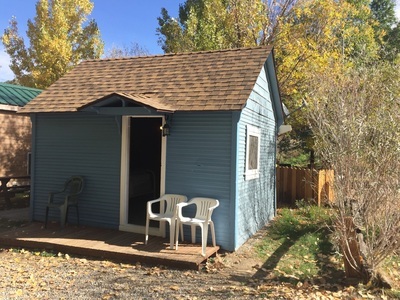 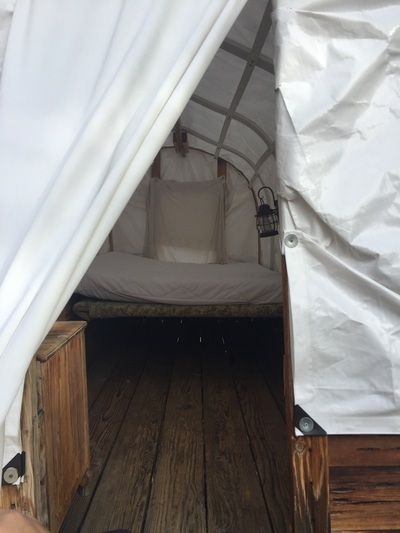 For only $36 per night (after tax) you can stay in a "tent cabin," which is really just a cabin. 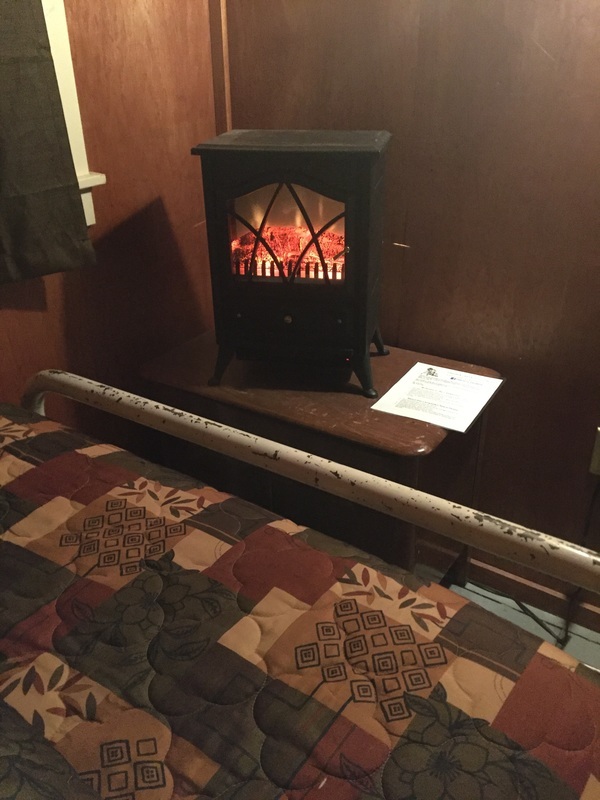 We stayed in the blue #6, and it had two twin bunkbeds, a queen-sized bed, a desk with a heater on it, a chest for storage, a large cabinet for storage, and even an outlet for plugging in your hair dryer or electronics. 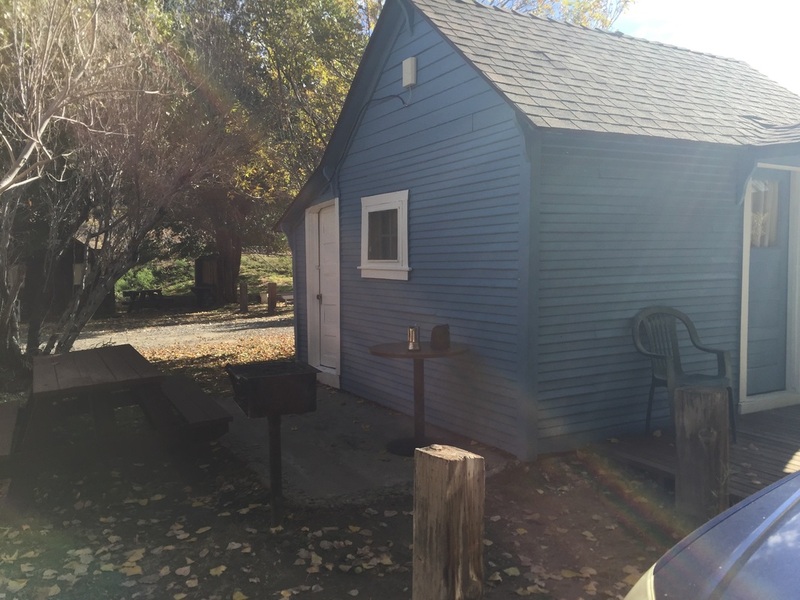 Outside it had a picnic table, a grill and a faucet. 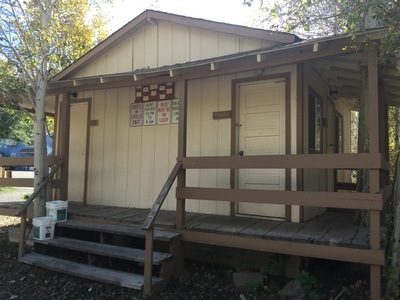 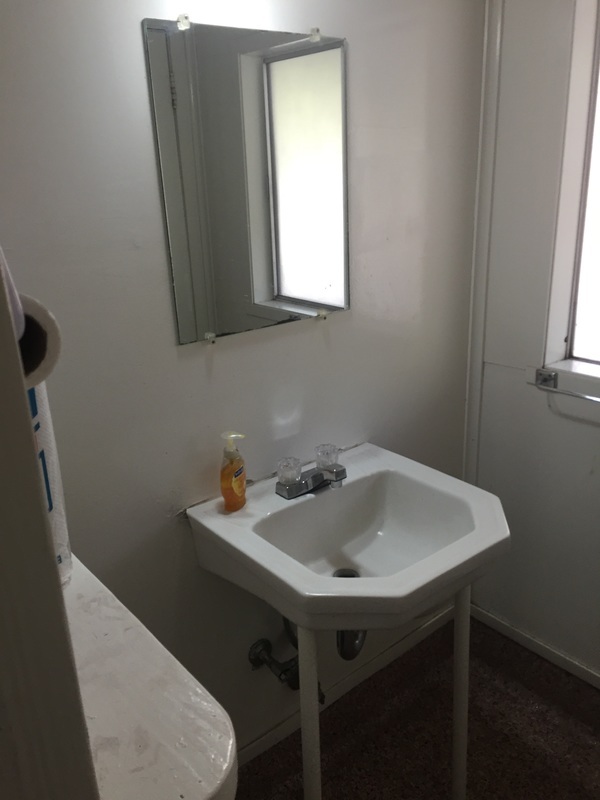 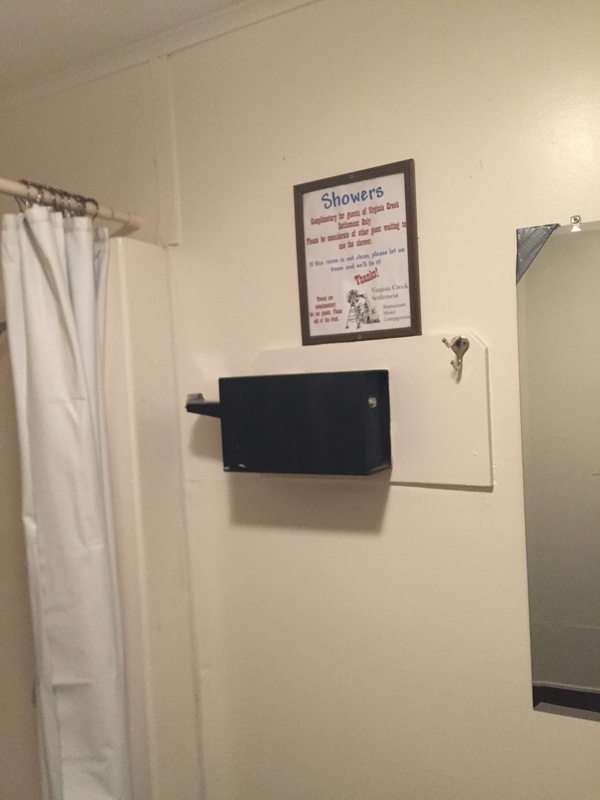 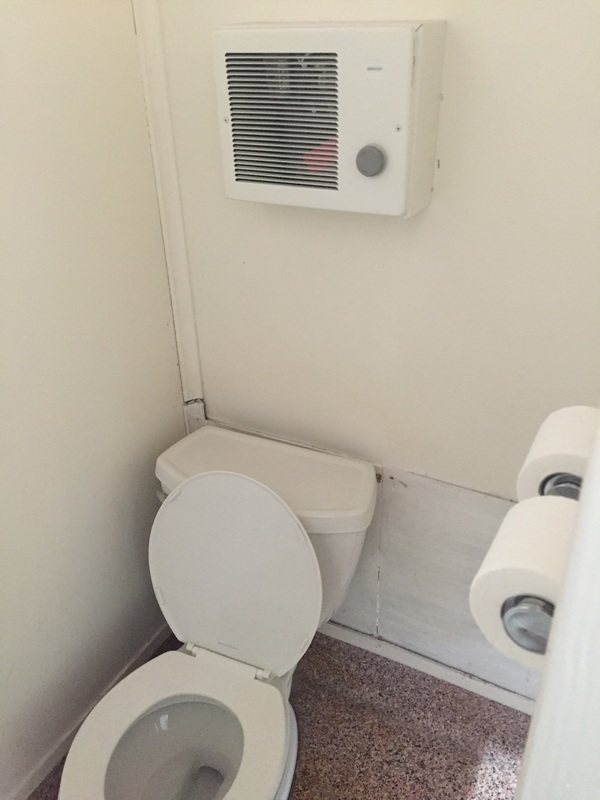 Directly across from us was a heated bathroom with a flushing toilet and running water and also a free shower with warm water. 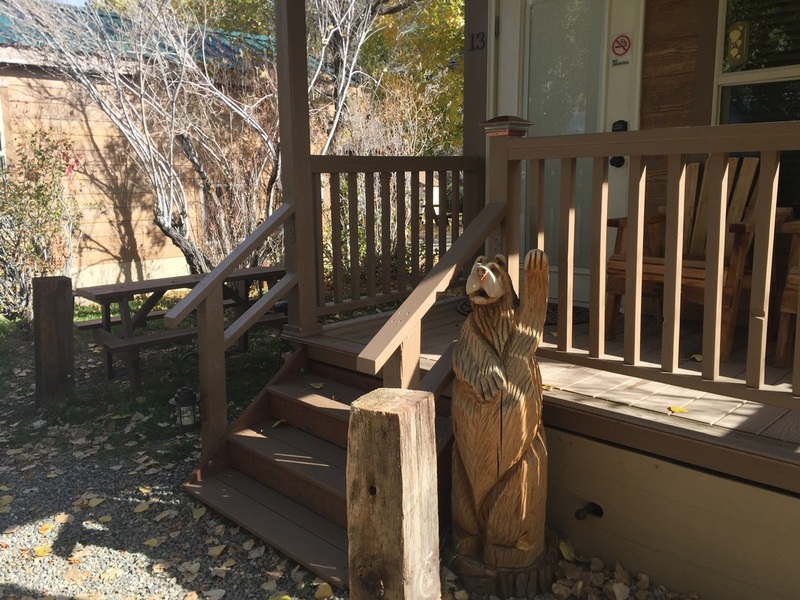 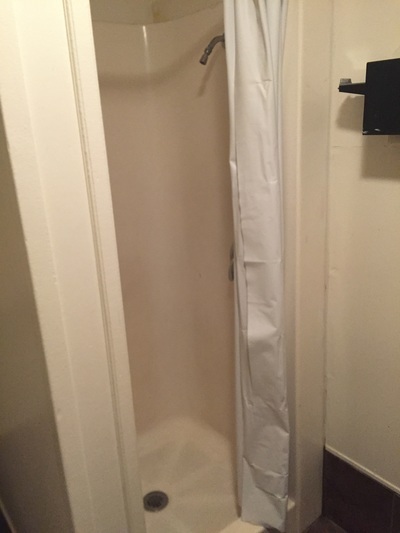 We weren't expecting so many amenities for the price, and we were pleasantly surprised. 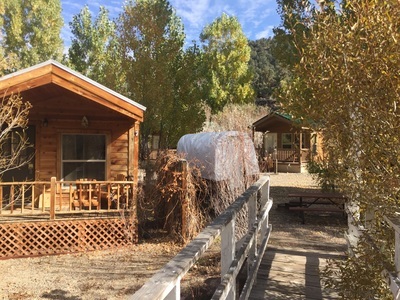 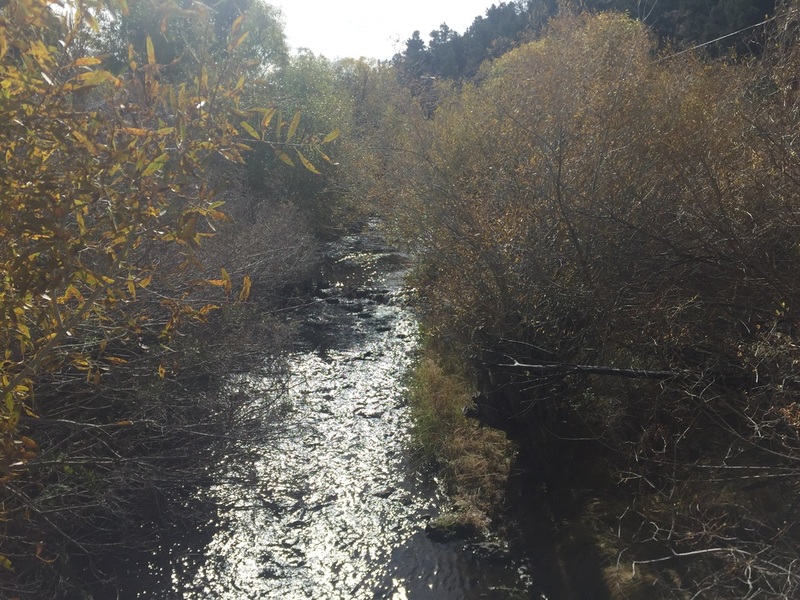 A creek runs through the property so you can listen to the relaxing sounds of the creek all night. 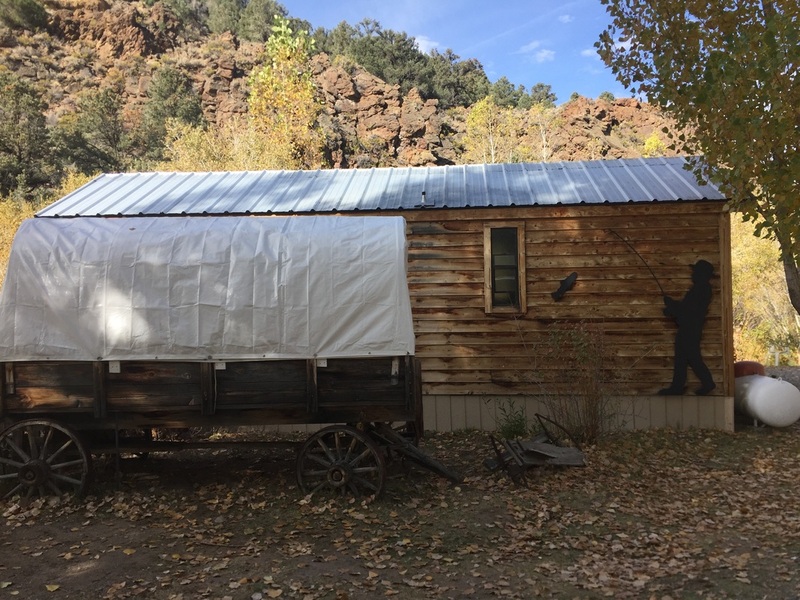 This property also has motel rooms, themed cabins, covered wagons with beds you can sleep in, and places to pitch your tent. There is also a large restaurant with a variety of menu items. You can book a room online, and if you arrive after the restaurant closes, they will leave a map for you at the front desk showing you how to get to your room or cabin. 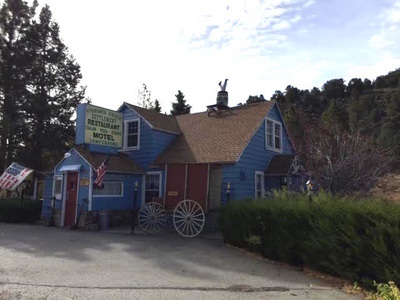 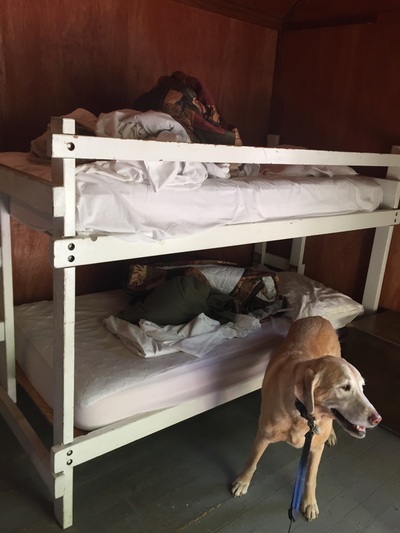 Staff is friendly and welcomes dogs for free, so check out this place if you need somewhere to stay on your road trip.